Under the eyes of the crowd, both fists collided, followed by a loud and deep explosion sound like a hard strike on a drum, causing the hearts of people to beat even faster. At the same time, there was a sound of something shattering. In just an instant, Su Wei’s face turned pale white, his body blown back. A stream of red blood spurted from his mouth as he flew through the air with his feet facing the sky and landed with a heavy thud multiple feet away. His fist now was just a bloody mess. A howl of pain came from Su Wei’s mouth like the cry of a dying pig, but afterward, he clenched his teeth and made not another sound. On Su Wei’s white face, his eyes were full of disbelief and shock. He could not accept the reality. Everyone thought that Su Yi would have been crippled, if not dead when they saw his fist. But now, seeing Su Wei’s body flying back, the surroundings were dead silent as if it was the dead of the night. On the seats, all the family elders, High Elders, etc, were all stunned, their eyes wide open and their jaws agape. At this moment, Wan Er who was standing far away, the corners of her shirt in her hand which had already been twisted till they had been crumpled were gradually released. The nervousness in her eyes changed into happiness and surprise. She knew that this time, the Young Master had finally returned home. On the stage, the ink-black hair of Su Yi swayed slightly in the wind. He slowly walked towards Su Wei who had flown back from the impact. Under the stare of everyone, he stepped on Su Wei’s chest with his foot. His body that looked thin and weak was straight and upright like a sharp blade on Su Wei’s chest. Su Wei stared at Su Yi. He could not even move a bit. Only Su Wei himself knew how serious were his injuries. The force of that one fist had shattered the bones in his hand and arm. When that frightening Yuan Qi entered his body, all his internal organs had been seriously injured. That foot on his chest felt as if a huge mountain was weighing on him. That formless presence did not give him any leeway to breathe. This foot had also shattered his dignity, dreams, and pride into millions of pieces. Finishing his words, Su Yi turned and left. He walked to Wan Er’s side, held her tiny hand and left the venue under the shocked gazes of everyone. Moments had passed before there were finally sounds from the four sides of the Demonstration Ground. Those stunned gazes had only come back to their senses now. The elders and High Elders left their seats and went onto the stage beside Su Wei, examining the injuries on Su Wei’s body. The Ninth High Elder had also recovered from his daze and also wanted to examine the Su Wei’s injuries. He struggled to get up. His voice was in a slight hysteria. This was a reality he could never accept. After the examination by several of the elders and High Elders, they faced each other and looked at Su Jing Ting who was still sitting in his seat, shaking their heads. Their eyes were full of confusion and shock. After their repeated checks, they had concluded that Su Wei was defeated fairly. Moreover, with only a single strike. It was not very likely that an underhanded tactic could have been employed. In a short 3 years, that spoiled rich kid was now actually able to defeat the first person among his generation in the Su Family. How could they not be shocked?! An elder could not resist saying it. Defeating Su Wei with one strike, no matter what, Su Yi must be at least at a cultivation level of Yuan Soul Realm. Furthermore, Su Yi was younger than Su Wei by 2 years, reaching the Yuan Soul Realm before even being 15. What a shock this was? Something like this had not appeared in the city for the past 100 years! Did a miracle happen? Su Yi was not a piece of trash anymore, he had turned into a prodigy! Some elders could not resist becoming ecstatic. If it was true that he had reached the Yuan Soul Realm before becoming 15, then he would be a talent which was even hard to find even after a hundred years! On the seats, facing where Su Yi had just left, the movement of light in Su Jing Ting’s eyes could not be hidden any longer. The Ninth High Elder had finally struggled to stand and said in a low voice. He could not believe that this was the truth. “Ninth High Elder, Su Yi is the Young Master of the Su Family. Please think twice about your identity before saying those words. If the words spread to the outside, I am afraid that the entire city would think of us as a joke,” Beside Su Jing Ting, an old man around 70 years old looked at the Ninth High Elder and said. There was a glimmering light in his eyes which had its own authority. The Ninth High Elder was surprised. He had never thought that the Grand Elder would speak up for that jinx. The Grand Elder interrupted the Ninth High Elder’s words, his eyes looked profound and his presence started becoming sharp and fierce. His voice was not loud, but his words resonated throughout the Demonstration Ground. Hearing his words, the Ninth High Elder was stunned for a moment. The disciples of the Su Family in the venue were also confused beyond measure. You have to know that these were the words of the Grand Elder. As the Su Family’s Grand Elder, his position in the Su Family could sway the scale to any side in an argument. He could be considered an equal to the Head of the House. And the Su Family always had only nine High Elders. Once the High Elders made a decision, not even the Head of the House could change it. This had always been the rule of the Su Family. On the seats, the High Elders started their discussion. Some supported the Grand Elder, some spoke up for the Ninth High Elder while the rest remained silent. In the end, the Grand Elder’s suggestion passed and the Ninth High Elder was to resign from his seat as a High Elder. The Ninth High Elder had a ghostly white hue on his face as he sat down lifeless in his seat once again. The decision made by the High Elders, he knew that not even the Head of the House could change it. He did not gain the seat of a High Elder easily and now he was chased off it. The disciples were flabbergasted. No one had expected something like this to happen today. 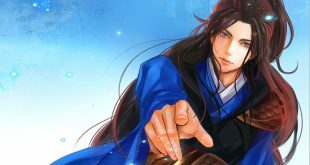 Su Yi’s one-shot win, the words of the Grand Elder, this was clearly implying that Su Yi is the true and rightful heir of the Su Family. All this time, the disciples of the Su Family knew that Su Yi had always been nurtured as the heir of the family. But because of his talent and Su Yi’s infamous name and actions, many of the elders who had supported Su Yi chose Su Wei in the end, but this was not them being biased against Su Yi, it was in consideration for the family’s future. Today, Su Yi’s win with only one strike and the Grand Elder’s stand was enough to have most of the elders to follow. After all, Su Yi was the real heir of the family. For the astonishment of people, Su Yi didn’t care one bit for them and returned to his yard. Wan Er was still immersed in her excitement and happiness. She had always felt that there was something different about the Young Master after he had returned. Now it had been proven for itself. The Young Master had indeed returned a changed man. Su Wan Er was only elated and not surprised because, in her heart, the Young Master was supposed to be like this right from the start. “From now on, the Su Estate is your home. I will not allow anyone to bully my sister ever again,” Su Yi smiled and looked at the little girl in front of him as he gently patted her head. Defeating Su Wei with one strike, Su Yi was not at all surprised. This was within his expectations. Su Wei did not know his strength at all and was very careless. Just like how a lion would use its full strength to catch a rabbit, Su Yi also did his utmost. Besides, Su Yi had reached the Yuan Soul Realm. He knew clearly that there wouldn’t be the slightest chance for Su Wei to win. Instead, if Su Wei had won, then that would be bizarre.